I know what it’s like when you’re on a special diet. It makes things so much harder to eat out, buy in your foods, socialise and accept meals from other people. You always look like the fussy one and feel guilty as other people are always making special food just for you. That’s just the way it is though and we are all on different diets for different reasons. Some diets we choose and others are forced upon us due to health problems or allergies. I am intolerant to dairy. It makes me ill if I have too much. But generally, I just have a very sensitive digestive system. My body can’t handle too much food that it finds hard to process. I have bad reactions to many different foods including caffeine, chocolate, too much sugar wheat or salt. So I know how important it is to tailor your diet to your own needs. What a lot of special diets have in common is that if unprocessed whole healthy foods are used, it takes away a lot of concerns. The more processed a food, the more likely it is that it will have an ingredient in it that will disagree with us. I believe it is because our bodies are designed to function well on a wholefood, plant-based diet. We may not even know the reason we are ill but I think food is a very good starting point for working out the reason for your illness. The best thing you can do when you have a special diet is to just make your own food. I know it’s hard work when you have to do all the meal preparation. So if we can find quick simple foods that we make ourselves that contain only healthy foods that we know fit our diets perfectly, that’s got to be a bonus. So how do Green Thickies fit into your special diet? The good news is that as you make it yourself, you can completely adapt it very easily to fit your own diet. They are very fast to make and fast to drink and extremely portable. They are a great fit for busy people with special diets. Find your specific diet in the following list. Green Thickies contain fruit, liquid, protein source such as nuts or seeds, leafy greens, and a filler. Click here to see the 20 different filler options. How Can I Adapt Green Thickies to My Special Diet? Low Cholesterol: Green Thickies contain no cholesterol so they are the perfect food for this diet. Macrobiotic Diet: Green Thickies contain mainly whole foods and are extremely healthy. Breastfeeding: Green Thickies are perfect for the lactating Mum. I actually invented Green Thickies while I was breastfeeding as firstly, I didn’t have time to eat as much as I wanted due to looking after my baby. I needed something very filling that would still provide all my nutrients that I required from a whole meal. It is also easy to drink green thickies while you are feeding your baby. 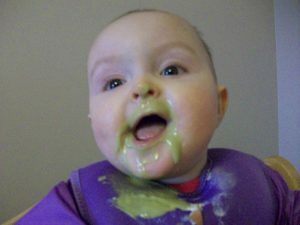 Green Thickies give you so many nutrients which you need even more of as your baby is taking their nutrients from you too. Pregnancy: Green Thickies are perfect for pregnancy as they are so healthy for you and your growing baby. They are great for keeping your blood sugar levels stable as they fill you up for a long time and give you more energy which you will definitely need during your pregnancy. They don’t contain anything harmful but do modify the ingredients if you need to. Menopause: A Green Thickie, and limiting of unhealthy foods can really make a difference to unpleasant symptoms including hot flushes. Vegetarian: All recipes are suitable for vegetarians. Vegan: All recipes are suitable for vegans and plant based diets. Low Salt: None of the recipes contain salt as I also give the green smoothies to my baby. Wheat Free: All Green Thickies are wheat free. Yeast Free: All Green Thickies are currently yeast free. Fish Free: None of the recipes will contain fish. Dairy Free/Lactose Free: All recipes are free from Dairy. Egg Free: All recipes are free from egg. The following diets may need to adapt green thickie recipes slightly but you should still be able to really enjoy them with a few tweaks. Gluten Free: If you can tolerate oats, you should be fine with most recipes or swap oats for cooked rice or another healthy grain or use gluten free oats. Or use one of the other 20 fillers. Diabetic: If you are watching your consumption of dried fruit, you may want to limit these or remove these from green thickie recipes. They should still taste fine, just less sweet. 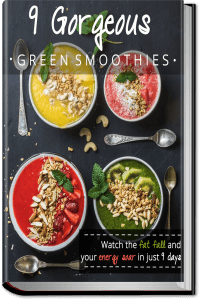 Heart Healthy: If you are following a very low fat diet, you may want to only make the green thickies that are low in fat or take out the nuts, seeds, coconut or avocados to make any of the green thickies low in fat. Low GI Diet: You may want to replace some of the high GI fruits, sweeteners or dried fruits with your own favourite low GI alternative. IBS: Remove or substitute whichever foods are triggers for your IBS. However blending does ease digestion. And it’s much easier for the body to digest a green thickie first thing in the morning rather than after heavier meals later on. Green Thickies can really get everything moving so they are the best food to have first thing in the morning. Heartburn: If you find citrus or higher fat foods are causing you heartburn, choose smoothie recipes that don’t contain ingredients that disagree with you. It will also help to eat a complete balanced diet. Migraines: Similar to heartburn, it may help you to avoid citrus, higher fat foods and anything chocolately (carob/cocoa/cacao) so choose recipes that don’t contain these ingredients. As most of the recipes will contain nuts or seeds, you can remove these if these trigger your migraines. Caffeine Free: Green Thickies rarely contain any caffeine, however occasionally there may be a recipe containing cocoa powder or green tea which contain small amounts of caffeine. You can buy de-caffeinated green tea. I can tolerate very small amounts of caffeine but do not consume it very often. Kosher: You would have to ensure your own ingredients, equipment and sourcing conformed to your own standards. Low Fat: Green Thickies do contain higher fat foods such as seeds, nuts, coconut and avocado but the whole drinks are not overly high in fat. 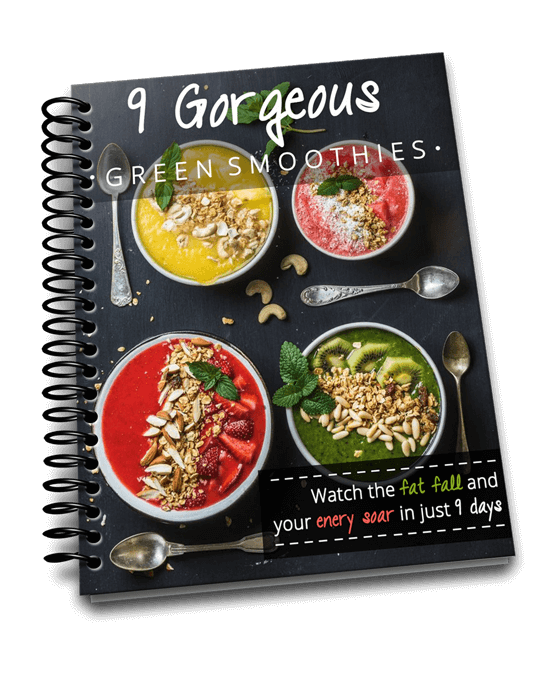 Each recipe breaks down the amount of different fats contained in the smoothie so you can check if they fit into your diet. You are welcome to remove higher fat foods to bring the amount of fats down, but I believe a small proportion of healthy fats are good for us. Low Fruit: If you are restricting your fruit intake, you may prefer to restrict the fruit, remove them altogether or just drink a no fruit green smoothie. I drank these while I was pregnant as I hadn’t invented green thickies yet and I had more time to eat my fruit and porridge separately. 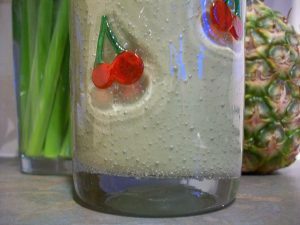 My all green smoothies contained spinach, celery, cucumber, avocado and dairy free milk. I would also include a filler and seeds/nuts for a complete meal. My baby loves drinking her Green Thickie every morning. and some people may avoid certain foods until their baby is one year old. Just substitute recipes to suit your kids. Organic: Green Thickies are perfect for you if you can find organic ingredients to suit your diet. Sugar Free: Green Thickies will never include any refined sugar but do contain the natural sugars contained in fruit and other healthy sweeteners so feel free to adapt or remove these to suit yourself. Nut Free: Some of the Green Thickies do contain nuts so feel free to substitute seeds instead or remove completely if you need to. Soy Free: Most of the recipes won’t contain soy but there may be an occasional recipe that includes tofu or a soya yoghurt. I generally use oat milk in my smoothies but you can use whichever dairy free milk you choose or just water if you prefer. You can also use dairy free milk instead of yoghurt. Raw Food: You can easily make the majority of green thickies raw by using raw oat groats, and all other raw ingredients. See the fillers to check which options are raw. Whole Grains: Any grains used in Green Thickies will always be whole grains. Low Calorie: I believe in enough calories during the course of the day to enable you to reach your ideal weight. 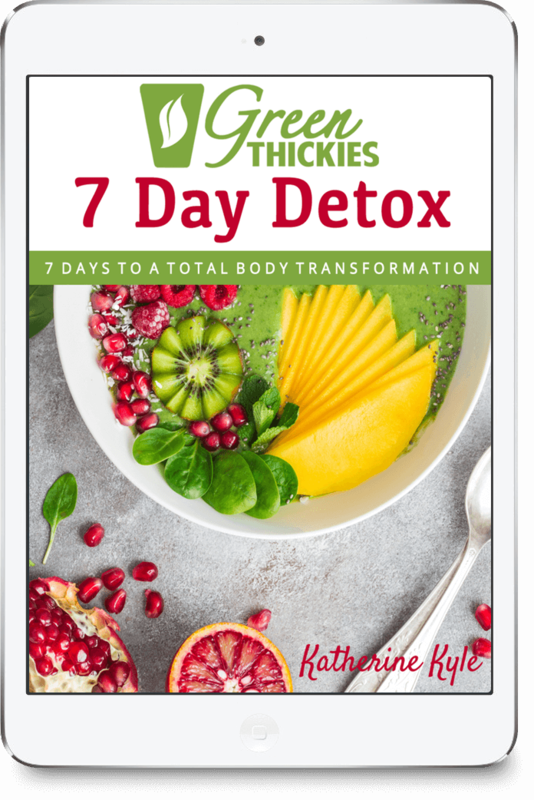 Although green thickies are a filling breakfast, you will need that number of calories to get you through from one meal to the next and you can still have a low calorie day by just drinking green thickies. You can definitely still lose weight if you view these drinks as complete meals and not a low calorie snack. Oral Allergy Syndrome: If you allergic to particular types of fruit or veg, just include only the ingredients you aren’t allergic to. 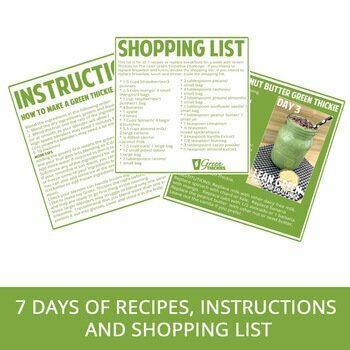 *BONUS: Here is one we can all benefit from: The Frugal Diet: Most Green Thickie recipes include easy to find ingredients that you can buy at your general store. This makes the ingredients reasonably priced and affordable for most people. Whatever your diet, I hope you still manage to enjoy your custom made glass of green thickie. If you would like to know exactly which ingredients go into a Green Thickie, read this article. 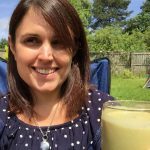 And if you would like to delve deeper, why not get my FREE 12 Day Green Smoothie E-Course? Click here to learn more. 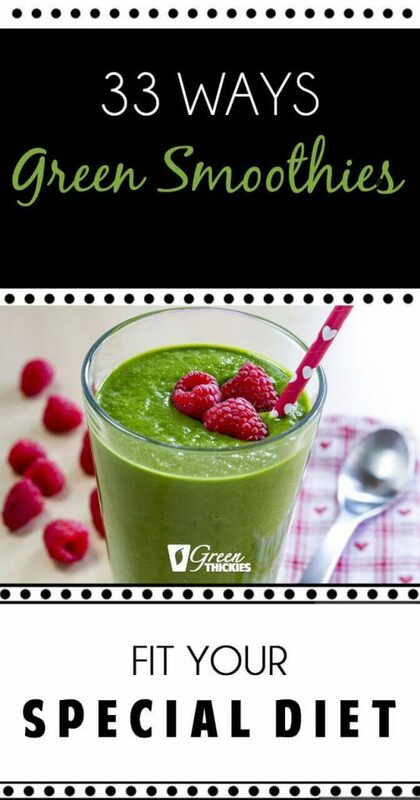 Let me know what diet you follow and how you adapted your green thickie/smoothie to fit yourself. Did I miss out your diet? Please share this with anyone you may know on a special diet. Hi Heather, I’m so glad you found something on my website that was helpful to you. 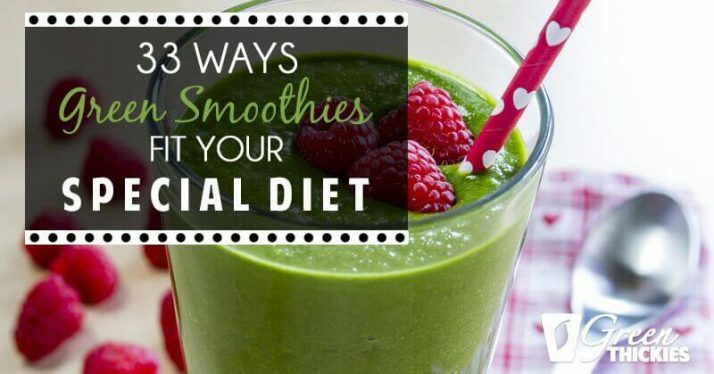 Did you manage to make a no fruit green smoothie? How did you find it? like carrots. His throat closes up with carrots. hypo-glasemic and does not tolerate processed sugar at all. reacts to the raw nuts. Any ideas you might have would be great. a blender or food processor that is more reasonable. Hi Elizabeth. I’ve heard the Ninja blender is a good one. You can just literally throw anything in a smoothie that your husband can tolerate. You could put some apples with some toasted pecans, oats, water or milk, dates and greens and that should taste lovely!